Fall season is on my radar given my current taste for black, grey, dark green and white colors. 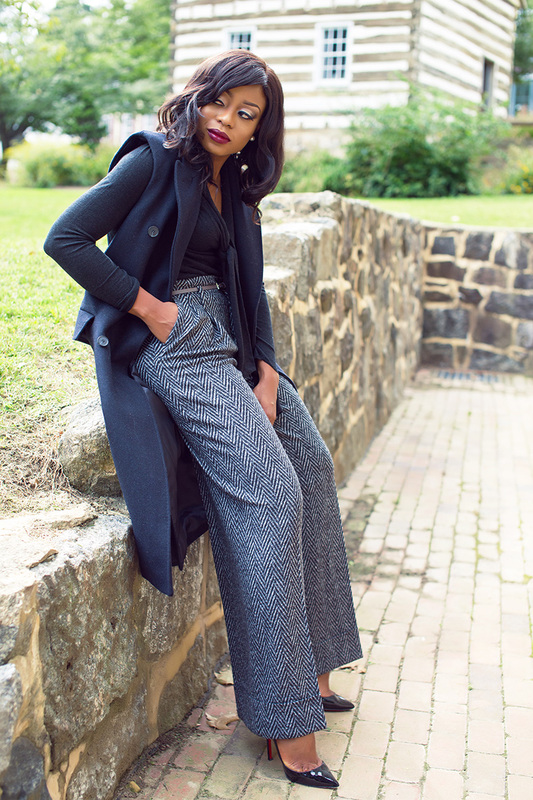 The look for today is a great work style for fall.I love the perfect fit of this tweed wide leg pants ; I paired the pants with a dark grey top and a sleeveless coat for the chilly fall days. I completed the look with one of my favorite fall lipsticks and I will be sharing some of my lipsticks soon. Absolutely beautiful.I am intrigued at ur style ,it sure inspires me. Absolutely beautiful,I am intrigued by your style,it sure inspires me. Nice pants, love the wide leg. Your style is so clean as always!!! Always a 100! Love everything about this outfit and ur lipstick is so nice. Suits u well.